An unprecedented turnover is continuing in the western Massachusetts state legislative delegation. 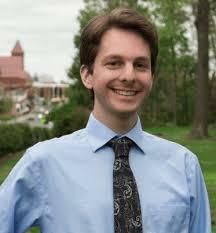 State Rep. Solomon Goldstein-Rose of Amherst has abruptly ended his campaign for a second term. In 2016, he was the winner of a crowded Democratic primary to succeed longtime State Rep. Ellen Story. Goldstein-Rose later left the Democratic party to become an independent. "I wanted to embody in the letter of my registration the non-partisan spirit that I have approached politics with from the beginning," Goldstein-Rose said in a post on Facebook last February. His exit assures that most Hampshire County residents will have a new representative in the legislature in January. State Rep. Peter Kocot of Northampton died leaving his seat vacant. Longtime legislators Stephen Kulik of Worthington and John Scibak of South Hadley are retiring after their current terms. Democrats Mindy Domb and Erik Nakajima are running in the Sept. 4th primary for the House seat currently held by Goldstein-Rose. No Republican is on the ballot. The House district, the 3rd Hampshire, includes Amherst, Pelham and part of Granby.